By 2017, it’s been estimated that the entire population throughout the world has taken over 3.5 trillion pictures and this number continues to rise as we speak. In fact, we take more photographs in two minutes today than we did in total 150 years ago. As we are adding around 1.8 billion new photos to this today every single day, it’s hardly a surprise that an innocent family photograph may wind up capturing something that unexpected from time to time. In takes one quick search online to begin drowning in a plethora of photos of phantom faces, floating, ghostly figures and demonic eyes that feel as if they’re staring right at you. Many of these can easily be explained due to digital image manipulation softwares that are easy to use and readily available. There are even some apps that are purely designed for you to add a ghost or ghosts to a picture, and others extremely rich in color with evil eyes which stare at you from beneath your bed. All of this technology can make it quite hard to truly know what’s real and what’s not, and by real, we mean, something that been genuinely caught on camera, not necessarily a real spirit, ghost, or other supernatural events. 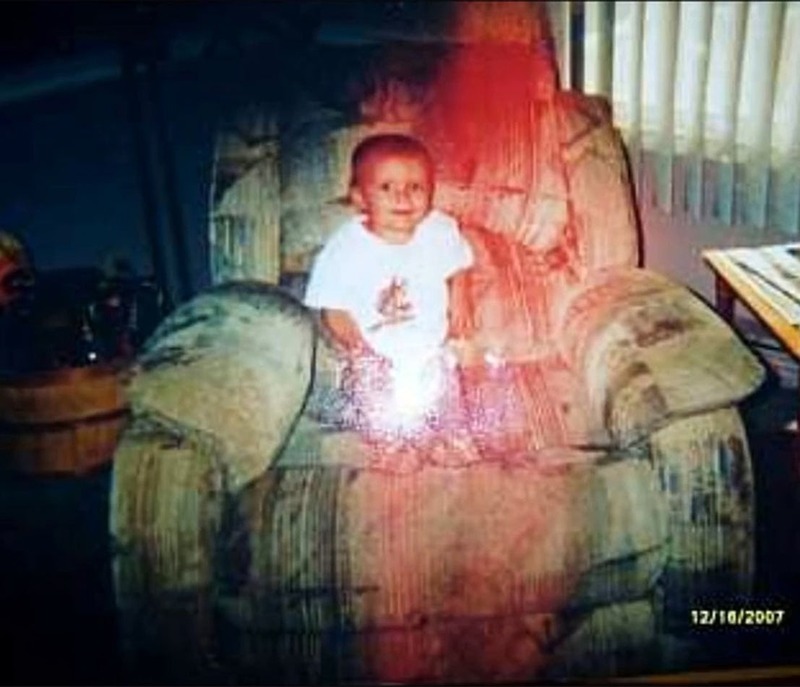 These pictures we’ve found, from exhaustive searches on the internet, haven’t been enhanced digitally in any way, except for the possibility of a huge red arrow or circle that points to the spot of action. Personally, we’ve got far too many pictures of our children sitting down on a sofa corner or an armchair. It’s a pose that almost every parent tries out right after their kid is strong enough to sit up on his own vaguely. We plank them down, while one person manages to hover just out of the shot and the second winds up taking the picture. What you might’ve been able to notice about this particular photo though is there’s a not so subtle human-shaped shadow appearing to sitting down in the chair alongside the little one. The boy seen in this picture was born just a few weeks after the death of his grandfather. When his mom brought him to visit his now widowed grandmother some months later, the little guy went right ahead and climbed up into this, which was his grandfather’s favorite chair to sit in. Finding this to be super cute, his mother took this photo but didn’t notice that there was an extra person in it until afterwards. Is this just a simple trick of light, or is it a loving grandfather whose come back from the dead to see this grandchild he never had the chance to meet while alive?